Eucerin Kids Sun Spray is a non-greasy yet water-resistant spray protects children´s skin from sunburn and reduces the risk of long-term UV-induced skin damage. 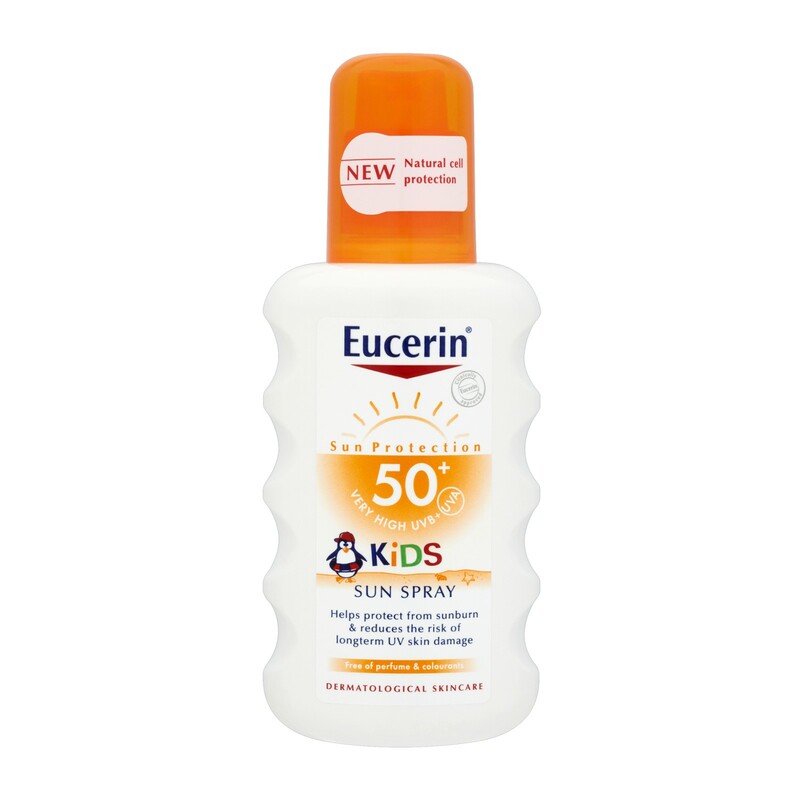 Eucerin Kids Sun Spray is specially formulated to protect children over three months old from sunburn. It provides biological cell protection. It is free from parabens, colorants and perfumes. Additionally it contains Glycerin that moisturizes the skin and strengthens its natural barrier function. Apply generously before sun exposure & reapply frequently, especially after swimming, toweling and sweating to maintain the original protection.